Organization Host: Burnaby Public Library presents students of the Pandit Jasraj School of Music Foundation. 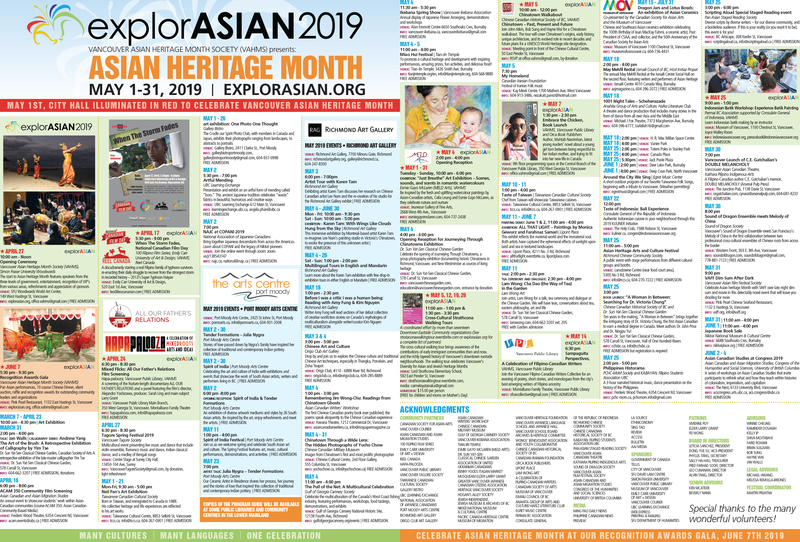 Description: Celebrate Asian Heritage Month https://explorasian.org/ with a concert of Indian classical vocal music by students of the Pandit Jasraj School of Music Foundation http://pjsomvancouver.org/. Don’t miss this superb performance! The concert features principal vocal soloist, Asha Lohia, accompanied by local tabla player and teacher Monish Chakraborti. The Foundation fosters the preservation, growth, and teaching of Indian Classical Music in the traditional style of Mewati Gharana. Watch a video clip here: https://www.youtube.com/watch?v=PNy7pFFQ4BA. 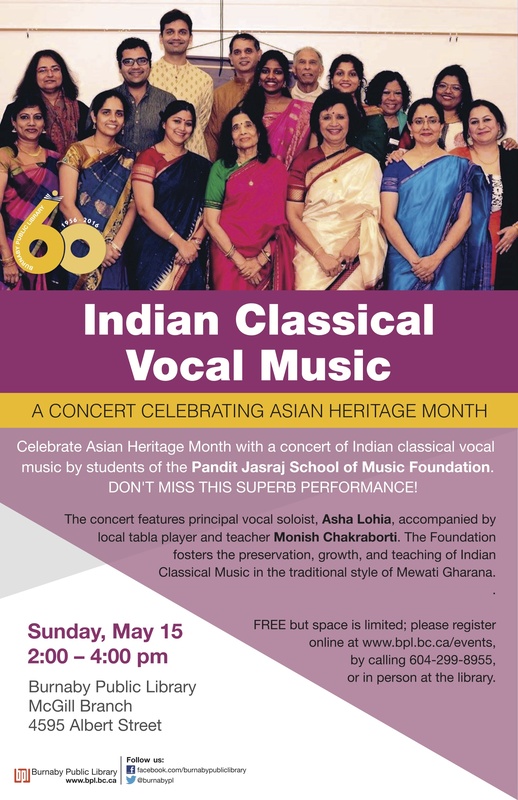 Tags: Burnaby Public Library, explorASIAN 2016, Indian Classical Vocal Music, Pandit Jasraj School of Music Foundation. Bookmark the permalink.